Oregon is rife with national parks, postcard-worthy fields, meandering hiking trails, and people who moved to Portland from the Midwest. Oh yeah, we've also got all these: Multnomah Falls! Haystack Rock! Timberline! Crater Lake! It's crazy, we really have a lot of reminders of how our state is pretty much the best in the Lower 48. 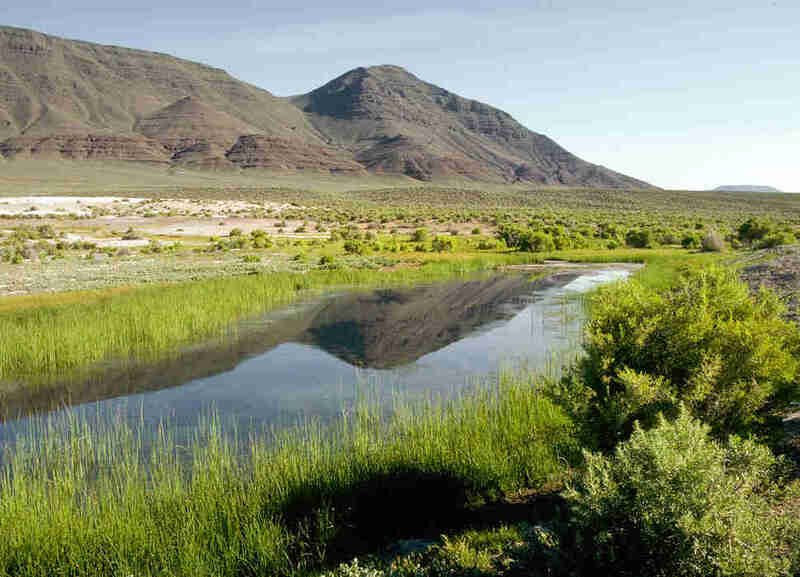 Hidden in southeastern Oregon next to Steens Mountain, the Alvord Desert is more Burning Man than Enchanted Forest. 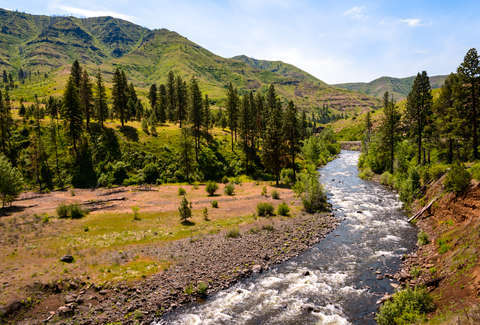 Forget everything you thought you knew about Oregon's lushness and its record-setting precipitation. The Alvord Desert is miles and miles of dusty mountain ranges, limitless sunsets, dry lake beds, and remoteness that will invoke a fear that you're the last man on Earth. And it’s mesmerizing. Scared of the dark? Then be sure to bring your flashlight and Xanax in the mile-long Lava River Cave in the Deschutes National Forest. Formed from a volcanic eruption about 80,000 years ago, this cave allows for self-guided tours in a cold, drippy environment. Though spending an hour and a half walking several feet underground might sound eerie, it’s definitely a unique experience. 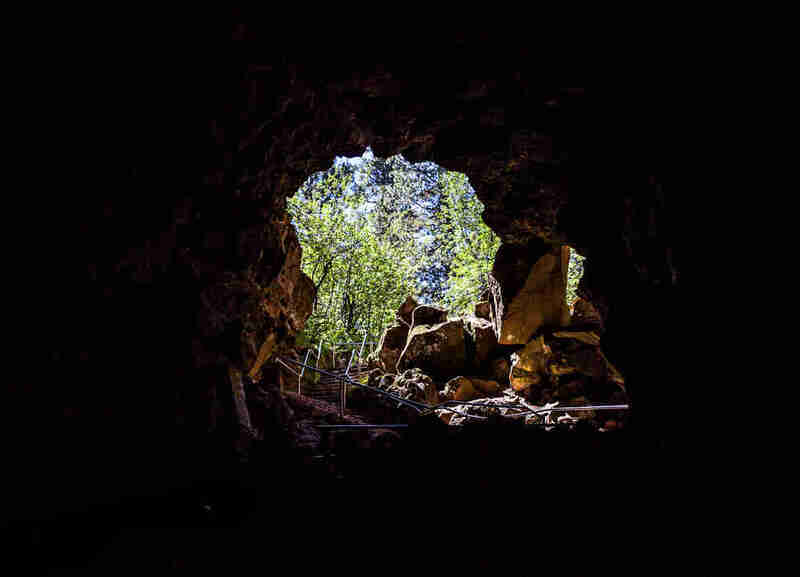 To explore this cave, you'll need to descend 55 stairs to a combination of flat boardwalk, uneven surfaces, and more stairways. Don’t fret -- all that work isn’t for nothing; once in there, Mother Nature rewards you with a picturesque sand garden and an array of ice crystals. This tree farm resembles a row of lollipops, so if you visit it -- located between Pendleton and the Dalles -- during just the right time of year, prepare your mind to be blown. 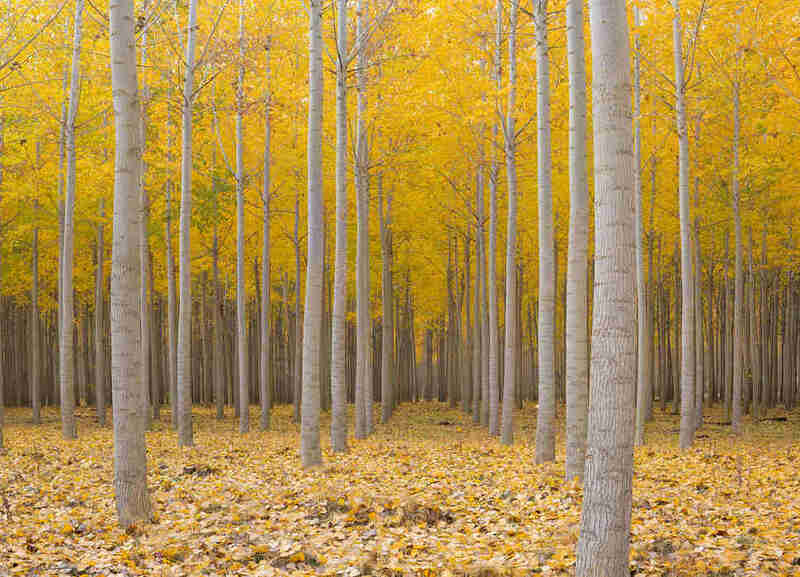 Boardman Tree Farm is exactly that -- a farm consisting of thousands of poplar hybrid trees. Basically, this farm is every wedding photographer’s dream. With trees stretching from the ground up, this symmetrical masterpiece farm is a manicured Zen garden in the middle of Oregon's wild forest. Oregon's all-natural, glorious beacon, Steins Pillar is more curious wonder than Multnomah Falls, and with 9,000% fewer tourists blocking the paths to take selfies. Those who look for beauty beyond just what’s on the outside will be enticed and bewitched by this volcanic curiosity. 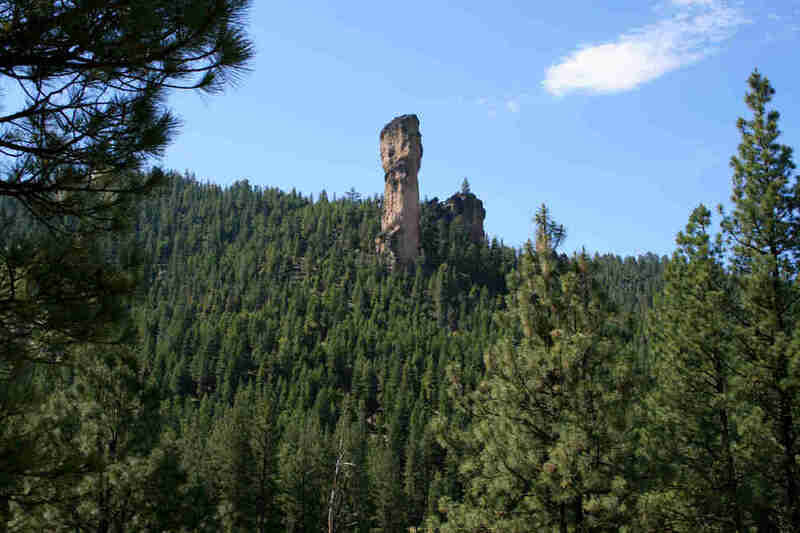 It's known to some as “nature’s skyscraper,” and you’ll find this approximately 350-foot rock pillar right smack down in the middle of a lush forest. 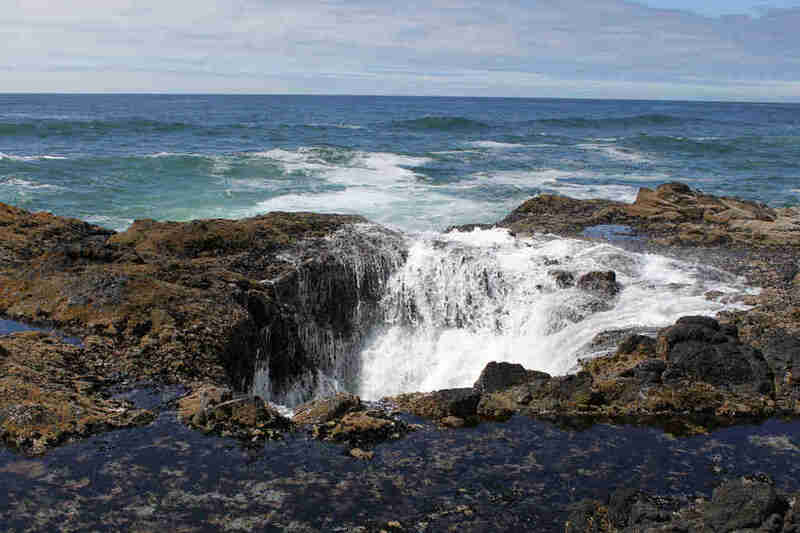 The gaping oceanic sinkhole on the Central Coast known as Thor’s Well is both magnetizing and terrifying. Visitors witness waves colliding, water shooting up, and a never-ending whirlpool of salt water, all glimmering in the Oregon sun. But take heed -- it’s also dangerous. Like, way more dangerous than Thor’s Bath, which we glimpsed awkwardly in Age of Ultron. 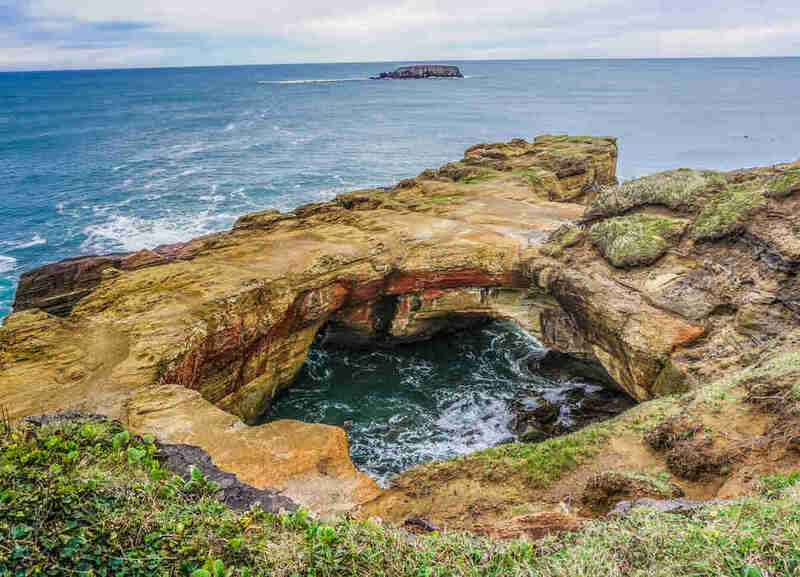 Literally a red formation gushing with liquid, Devil’s Punchbowl, located along the Oregon coast between Newport and Depoe Bay, is a fascinating, action-packed marine area. Water rushes in and out of the dungeon-esque punchbowl as the tide goes in and out. Waves rip through the devilish rock’s cracks. You can taste the seawater lightly splashing your face. It’s wicked. 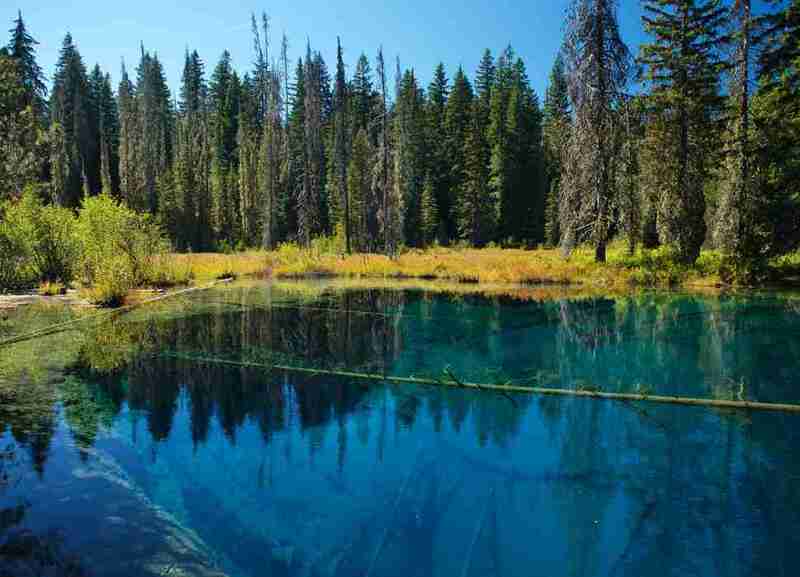 Just slightly less crystal clear and bright blue as its namesake, Little Crater Lake has other great qualities such as its proximity to Portland and the smaller crowds. With trails left and right from the lake, there’s plenty to do here, including camping at the nearby Little Crater Lake Campground. Located in Mount Hood National Forest, it’s hidden by dense forest and offers seclusion to take it all in without all the tourists and commotion. If there was ever a time to holler with glee, it would be from Angel’s Rest. If you make it up this treacherous (technically moderate level) hike, you have a prize waiting for you. 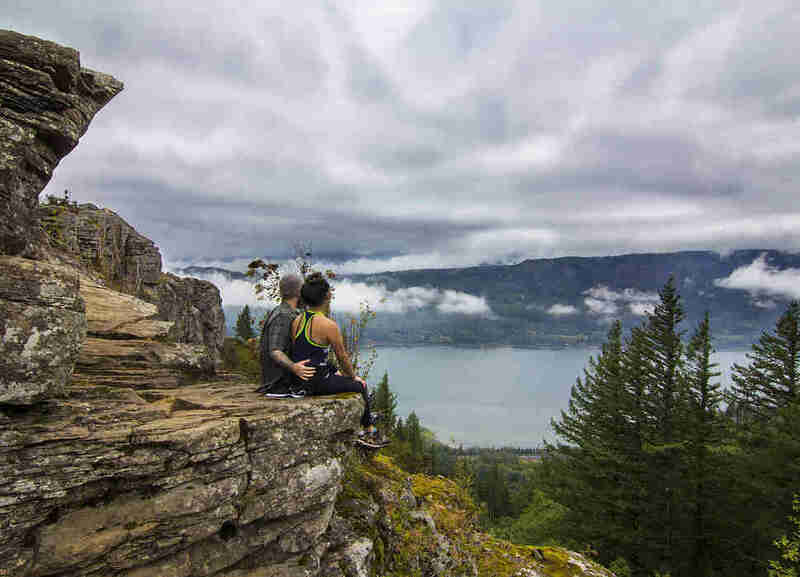 "Jaw-dropping" does not even begin to describe this incredible view of the Columbia Gorge. From Angel's Rest, you see the winding Columbia River, the infinite trees, and rolling mountain ranges, all at an incredible height. 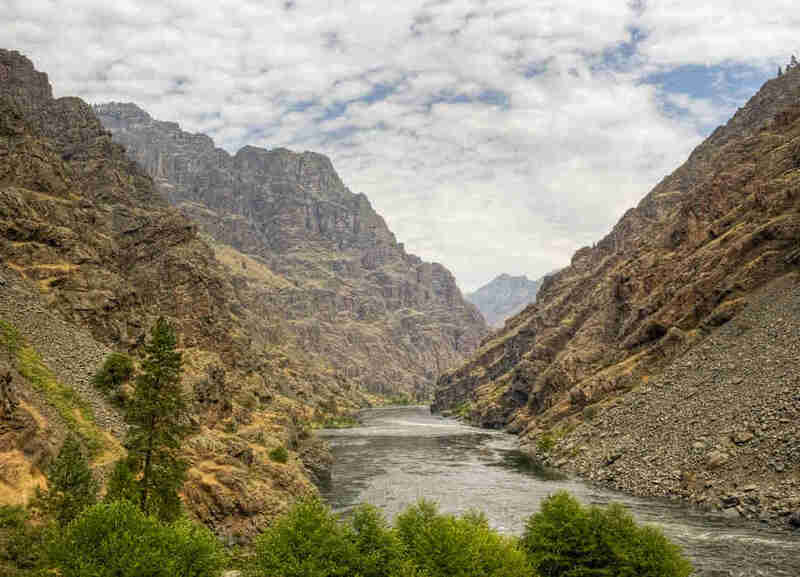 Home to parts of the Snake River, Hells Canyon Wilderness area has North America’s deepest river gorge. And what exactly does deepest river gorge translate to? Crazy river rapids and distinct rock formations. Since this area is so remote, and the river gorge so deep, there’s something to discover around every bend. Just, you know, don’t get lost and contribute to the place deserving its name. Oregonians pride themselves on being weird. And that goes for our idea of beauty too. 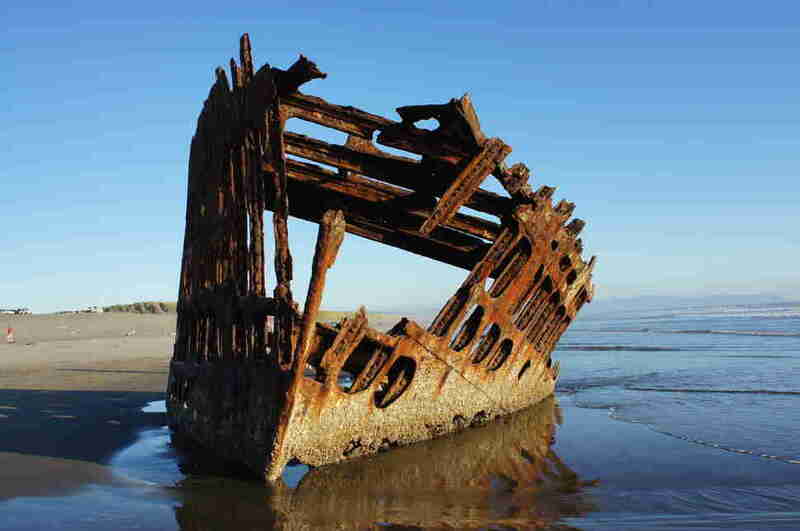 The Peter Iredale shipwreck, found right along the Oregon coast, is enchanting and mesmerizing. This is one of the shipwrecks of the "Graveyard of the Pacific," so ship enthusiasts and desperate Gilligan’s Island fans can walk in and out of the ship that’s still tilted up and appears to be bursting out of its beach grave. 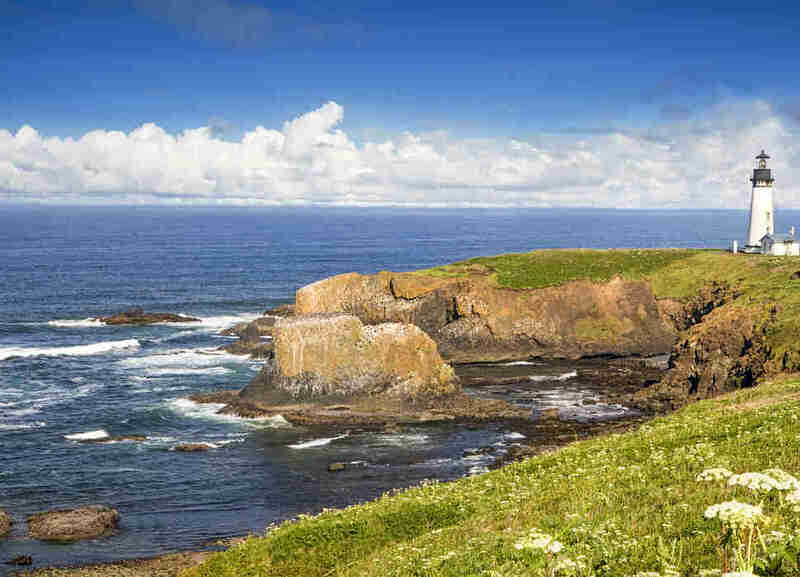 The Yaquina Head Outstanding Natural Area is a truly magical place (and also outstanding). Located in Newport -- home of the fantastic Local Ocean tuna mignon! -- this Bureau of Land Management site is home to Oregon’s tallest lighthouse (93 feet) as well as a vast array of tide pools. Driving up to the bluff, you might feel like you’ve seen this lighthouse before, since you probably did in the 2002 classic horror film, The Ring (don’t worry, they don’t have a VCR in there, so you’re cool). Michelle Udem is a Portland-based writer who is keeping a couple places you've never heard of to herself, thank you very much. DON'T follow her to hidden gems @mudem.